Monochrome TFT LCDs provide a high performance solution for industrial and automotive instrumentation, audio/visual displays and industrial devices that do not require full color. They offer an excellent contrast ratio, high resolution, wide viewing angles, fast response time, sunlight readability and wide operating temperatures. Available in 3.5”, 5.7” and 6.2” diagonal sizes, the new LCDs offer 100 to 700 cd/m2 front-of-screen brightness and contrast ratios of 800:1, a dramatic increase from the typical passive monochrome contrast ratios of 12:1. The 6.2” module can provide 250 cd/m2 maximum brightness and the 5.7” can meet 700 cd/m2 maximum brightness. Operating temperature for all modules is -20C to +70C. PDI specializes in small format (typically 15” and less) character display, graphic display, color display, and custom display formats. mechanically into an existing project. PDI can also incorporate any additional options needed. 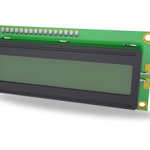 View our selection of graphic monochrome TFT LCD displays or contact Phoenix Display International for a custom LCD/TFT quote in less than 24 hours.